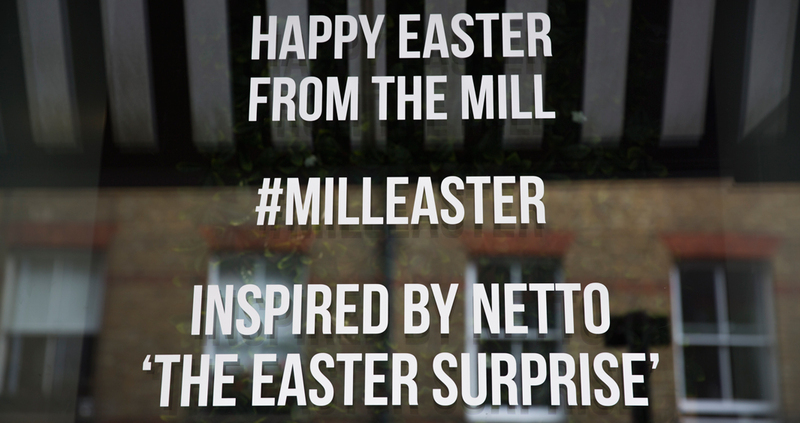 The Mill’s Windmill Street Studio has been transformed into a snapshot of the year’s sweetest seasonal advert, Netto's 'The Easter Surprise', for a four-day long install in the lead up to the long weekend. 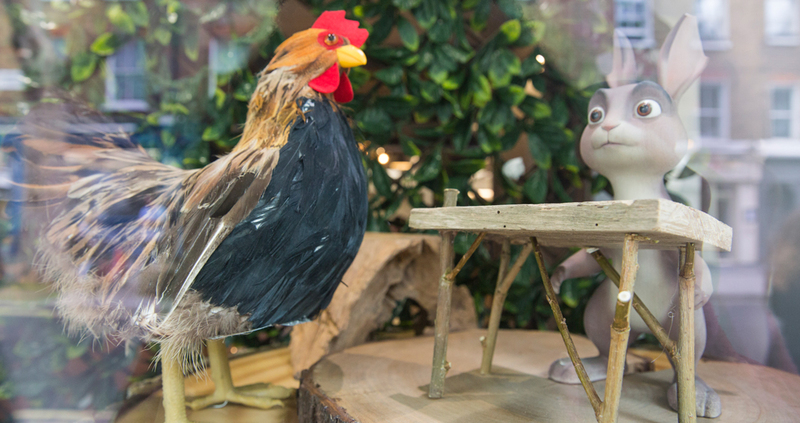 The installation brings to life the narrative and characters of Netto’s latest campaign, created by Jung von Matt and Mill+. 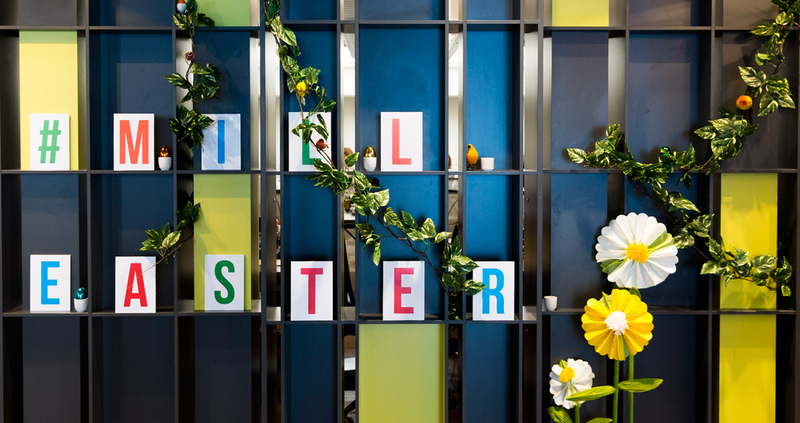 The team took on a highly inspiring creative script to explore the origins of the Easter bunny, and this year's Windmill Street Studio Easter Installation takes inspiration directly from the spot. The building has been dressed akin to the woodland setting from the ad itself, with throws of green leaves and hedging adorning the windows, each lightly dressed with flowers, birds, and patterned eggs to weave an underlying air of magic among an enchanted woodland setting. 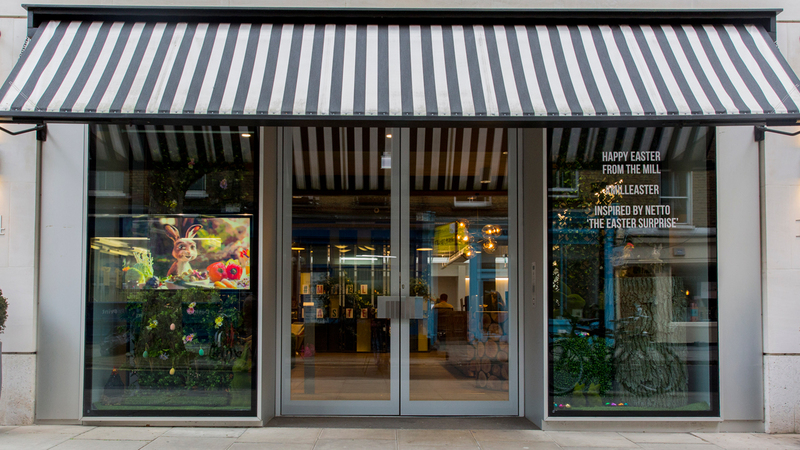 Ensuring magic reaches every corner of Windmill Street, a host of cleverly thought-out gifts, treats, and activities are being offered over the week. A pop-up from FINKS rustic-deli will take place on the Tuesday between 2pm and 6pm, while Master biscuiteers BKD will make a grand return on Thursday for a drop-in workshop between 1pm and 4pm. 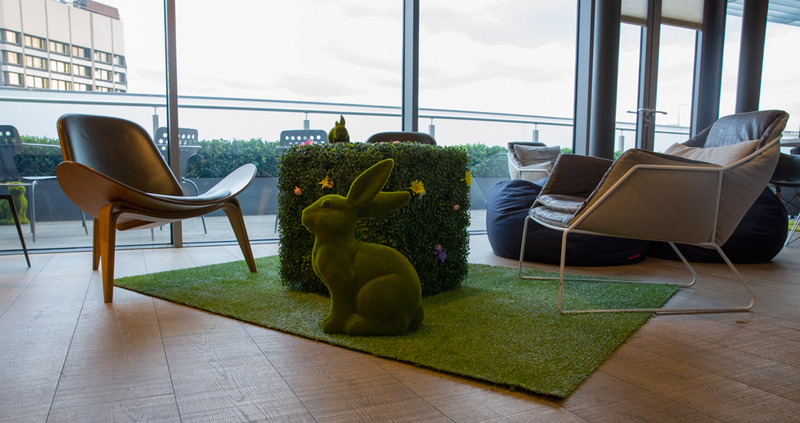 Seasonal Hot Cross Bun Stations will find their way to each floor mid-week, while baskets of mini-eggs will be replenished throughout the building for those inevitable afternoon chocolate cravings. 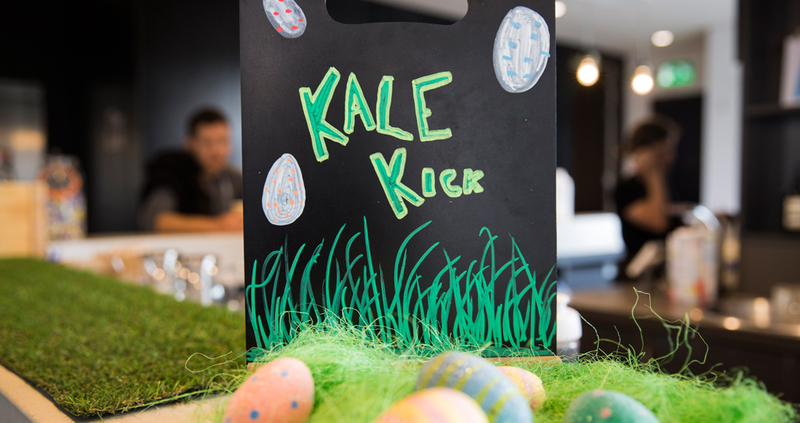 Additionally, a ‘Spring-Greens Smoothie’ and an appropriately-named ‘Easter Surprise’ tipple will be on offer in The Loft over the four days. 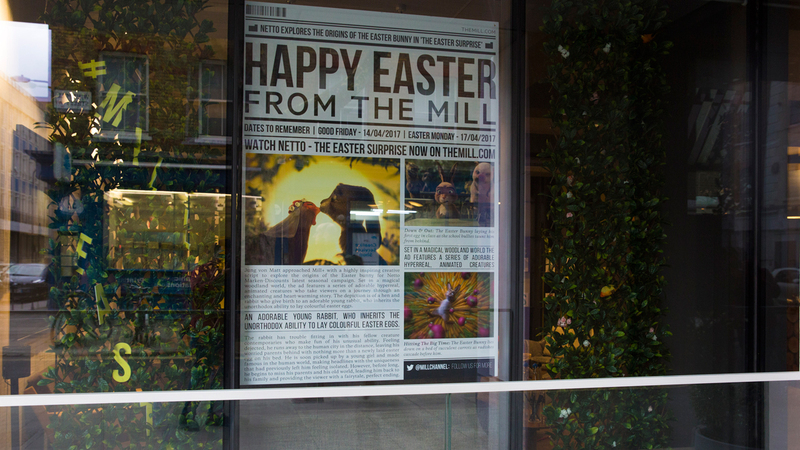 The Mill’s London Studio is more than just a nod towards this year's most prolific Easter ad, but rather an inspired spring-woodland setting which harbours the feeling that magic could happen at any moment. 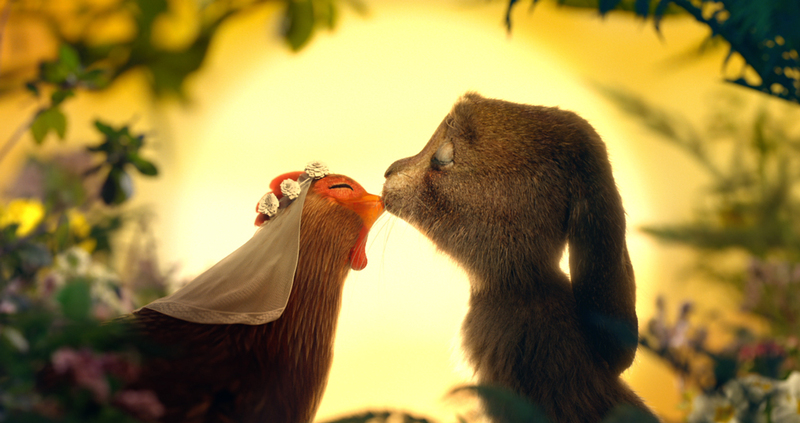 Netto's 'The Easter Surprise' tells the tale of a hen and rabbit who give birth to an adorable young rabbit, who inherits the unorthodox ability to lay colourful easter eggs. 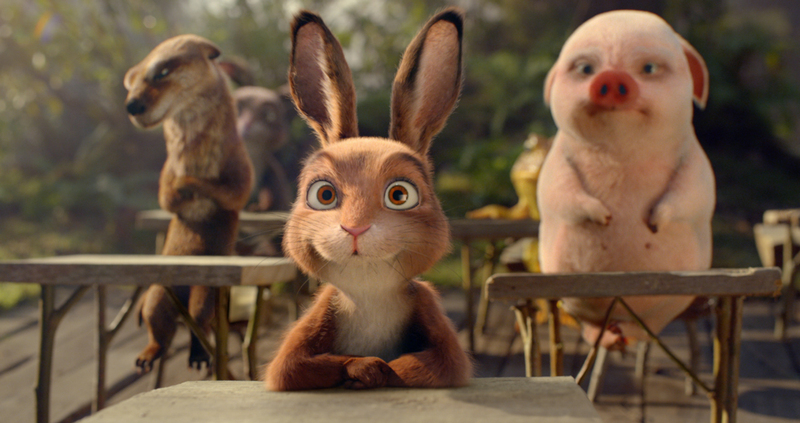 Working closely with highly skilled set designers, the Mill+ team created a custom-built forest set for a series of adorable hyper-real, animated creatures to inhabit. The characters were then seamlessly embedded into the enchanted world, and viewers taken on a journey through an enchanting and heart-warming story. 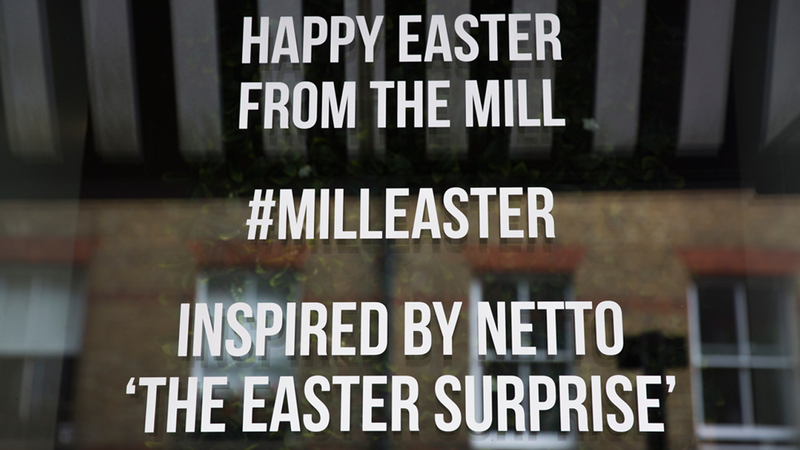 It is this very narrative that has been used to inspire the London Studio's Easter decorations.